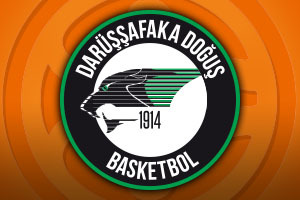 We’ve reached the end of Round 6 in the Euroleague and we have a team through to the Top 16. CSKA Moscow played on Thursday night but they booked their passage to the next stage of the tournament thanks to other scores in the group on Friday evening. Anadolu got back to winning ways in this game after three straight defeats and the Turkish side now sits with a 3-3 record. The visitors fall to a 2-4 record in a game where Limoges regularly threatened but never actually managed to haul themselves into contention. The half-time score was 51-35 and this pattern continued for the rest of the game. A big showing in the second half moved Lokomotiv to one win from the Top 16, placing the Russians on to a 5-1 record. The hosts however continue to struggle and they sit with a 2-4 record. 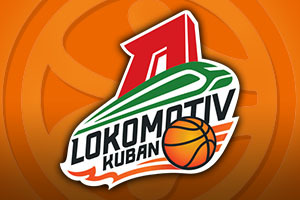 In the fourth quarter, the score was tied at 61-61 but this was the moment when Lokomotiv roared on in the last 6 minutes of the game. Malcolm Delaney grabbed 23 points in total, with 20 in just 5 minutes, while Ryan Broekhoff picked up 16 points. Victor Claver offered up 13 points and 7 rebounds while Dontaye Draper offered up 10 points. For the hosts, James Feldeine provided 14 points while James Gist and Miroslav Raduljica provided 11 points each. There is now no team with a 100% record in the Euroleague as Brose Baskets overcame Malaga in Germany. The middle quarters were the making of the game, the Germans outscoring their opponents by 46-20 in this period. Malaga are still joint top of the group, with a 5-1 record, and the hosts moved on to a 4-2 record, and are looking food for the Top 16. Janis Strelnieks provided 14 points and 6 assists while Brad Wanamaker offered up 13 points, with Darius Miller grabbing 11 points. Unicaja had three players on 9 points, German Gabriel, Alberto Diaz and Edwin Jackson. The only team without a win so far in the Euroleague remains winless as Dinamo fall to a 0-6 record in Group D. The Turkish side moves to a 3-3 record in a game that the visitors led from early on in the second half. Emir Preldzi provided 11 points and Semih Erden grabbed 10 points and 8 rebounds for the winners. Sassari were led by Joe Alexander with 17 points, David Logan grabbed 11 points and MarQuez Haynes provided 10 points.